Photo: Front sign of Wayne College in Orrville, Ohio (Wayne County, Ohio). 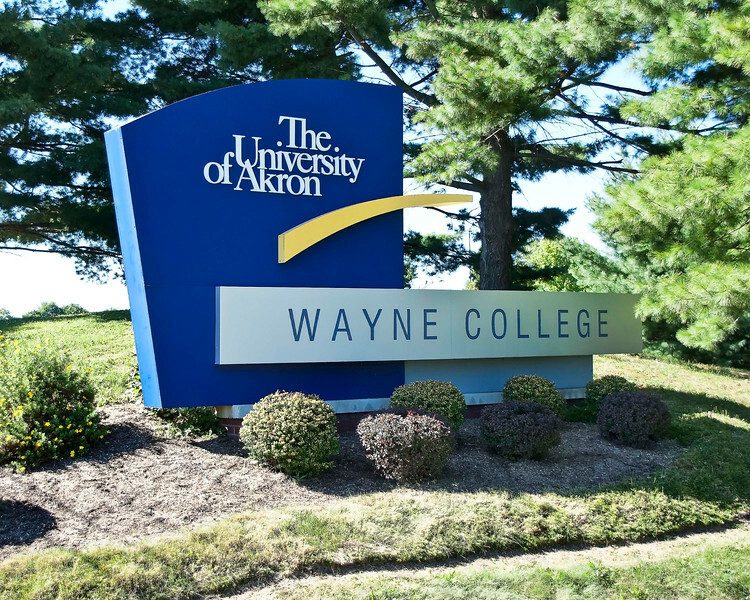 Description: Wayne College is a branch campus of the University of Akron offering two-year degrees and a transfer program to the main campus in Akron resulting in a four-year degree. It is located in Orrville, Ohio. Role in Wayne County's Ag-Bio Cluster: Higher education provider, offering degrees in a wide range of fields related to science, engineering, business and many other fields. As a part of the University of Akron system, Wayne College has access to the major science and engineering resources available on the University's main campus in Akron.